First printed in Umatuna, the newspaper for the Archdiocese of Agana, Guam, 9/11/11. On August 31, the office of the legal counsel for the U.S. Conference of Catholic Bishops released a 35 page comment condemning the Obama administration’s decision to force health insurance companies to provide FDA-approved contraception — which includes birth control drugs like Plan B and “ella” that can cause abortions. 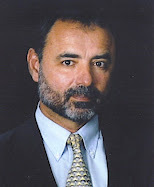 The counsel argues that the administration’s mandate 1) violates the First Amendment, 2) represents an unprecedented attack on religious liberty, 3) creates serious moral problems, and 4) represents an unprecedented intrusion by the federal government into the precincts of religion that, if unchecked here, will support ever more expansive and corrosive intrusions in the future. This isn’t the first time the USCCB legal counsel has weighed in against provisions in or allowed by the PPACA (the health care act). In March of 2010, the General Counsel released a legal memo criticizing the direct federal funding of abortion and the gross omissions of key conscience protections in the PPACA. 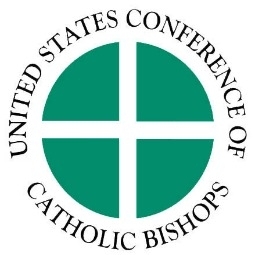 While we applaud the USCCB for its condemnation of grossly immoral legislation, one wonders why the USCCB was not more apprehensive about the candidacy of a man who: 1) voted against providing medical care to children who survive a failed abortion, 2) opposed the ban on partial birth abortion, 3) promised to sign a bill banning all pro-life legislation as “the first thing I’d do as president”, and 4) had a 100% rating from NARAL, the nation’s foremost abortion rights organization. In the months leading up to the 2008 election I was alarmed at the amount of press coming out of USCCB offices that seemed more concerned with the Iraq War and the economy than the possible election of a man who was so radically committed to abortion. My alarm turned to shock at the USCCB release of a document entitled “Forming Consciences for Faithful Citizenship”. The document was supposed to provide moral guidance for Catholic voters. With the possibility of the “most pro-abortion candidate ever” on the ballot and the moral questions over the Iraq War, it was critical that the nation’s bishops offer clear guidance to Catholic voters. “Faithful Citizenship” was supposed to do that. It did not. As a matter of fact, according to the highest ranking U.S. prelate in the Vatican, it essentially handed Barack Obama the election. 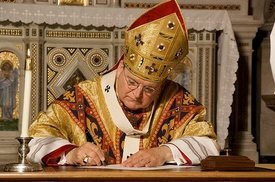 Archbishop Raymond Burke, the prefect for the Apostolic Signatura, blamed the document “for the abandonment of pro-life teachings by voting Catholics.” He said the document “led to confusion” among the faithful and led ultimately to massive support among Catholics for “the most pro-abortion president in U.S. History.” The problem, the Archbishop pointed out, was that the document did not make the ”necessary distinctions” between abortion and other life issues such as war, capital punishment, and poverty. But despite the previous warning from the man who would become Pope Benedict XVI, “Faithful Citizenship”, according to Archbishop Burke, effectively obscured the moral distinction between life issues, fostered voter confusion, and led to more Catholics percentage-wise (54%) voting for the “most pro-abortion president in U.S. history” than the rest of the nation (52%). And the new president did not disappoint. Since taking office, Barack Obama has waged an onslaught against life in the womb at the mad rate of over one hundred anti-life bill signings, speeches, appointments, and related actions in just his first two years. The new mandate to fund contraception, abortifacients, and sterilizations or give up our health insurance is simply another abortion supporting aspect of the PPACA and one more notch Obama can add to his belt of abortion crusading credentials. This isn’t something we Catholics can just shake our heads at and go about our business. As of August 1, our health insurance premiums are paying for abortifacients and contraceptive methods, the use of which our Church condemns as “intrinsically evil”. We are faced with a serious moral dilemma: fund intrinsic evil or give up our health insurance. What to do? It is hoped that our Church leaders will provide an answer soon.